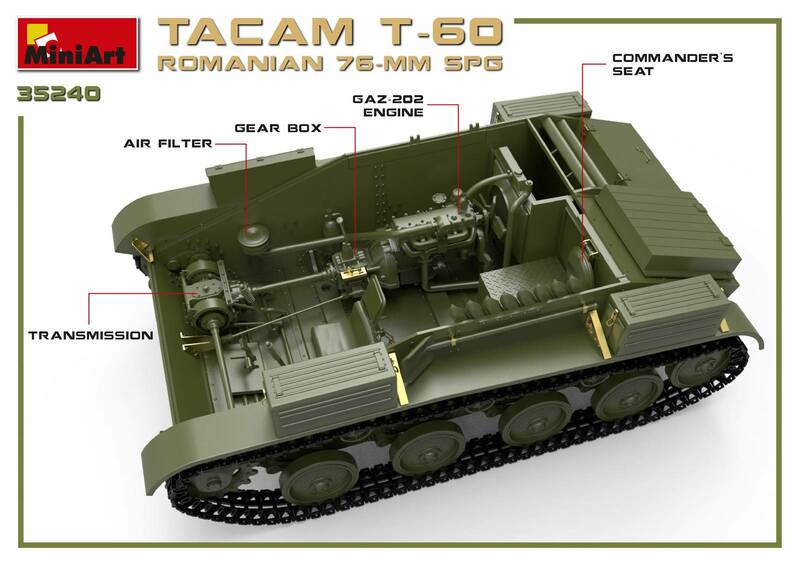 "Miniart has combined their new T-60 kit with a 76mm gun to bring us this little Romanian tank destroyer with a lit of bite – We have the CAD feature sheet, sprue layout, colours and all the other features of this new kit due in January from MiniArt…"
Ah, 1/35 scale. Bummer, I was hoping that would be 1/72 so we could see Piers Brand work his magic on it! A pity so much of the interior detail will not be seen or, at best, obscured. The TACAM T-60 was another one of those vehicles where the crew had bloody well better like each other very, very much. Looks like one of the versions of the German Marder. My impression is that it was very much inspired by the German Marders. But … observing how useful the Marders were as they arrived on the battlefields in the second half of 1942, and deciding to implement a program for a similar vehicle, which came into service in mid-1944? Yes the Marder may have been quite useful in 1942. But by 1944 … ? Of course if you were the Romanian army, ANY mobile mount for a competent AT gun was probably welcome. 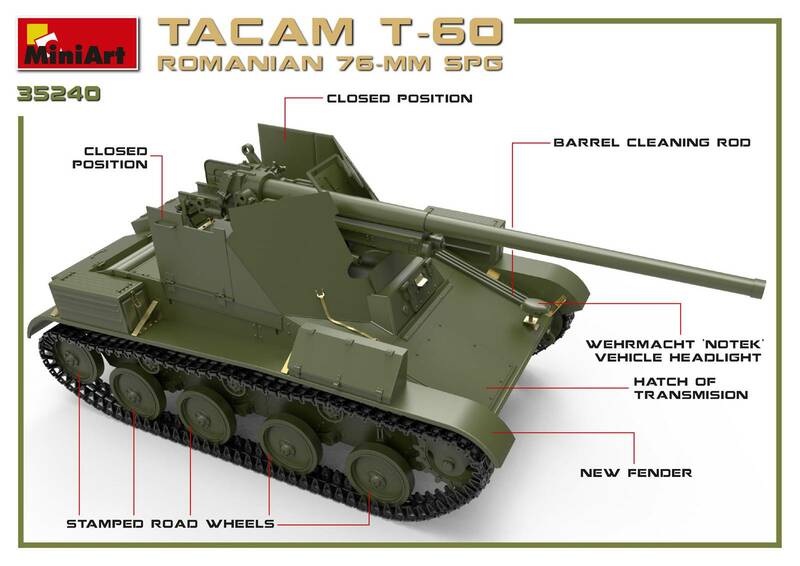 My understanding, though, is that this particular version of the TACAM (based on war-booty T-60 hulls, vs. the alternate version based on the hulls of R-2 tanks purchased from Skoda) didn't actually have much of a service life. It entered combat in perhaps in the late spring / early summer of 1944. The few that were available were all seized by the Soviets after Romania re-aligned at the end of September, as were all vehicles in the Romanian army that had been originally captured from Soviet forces. Could be wrong on that, but that's my understanding. Clearly, but the Romanian Army may have been a little behind the Germans. And they didn't start to field them until later in the war ? 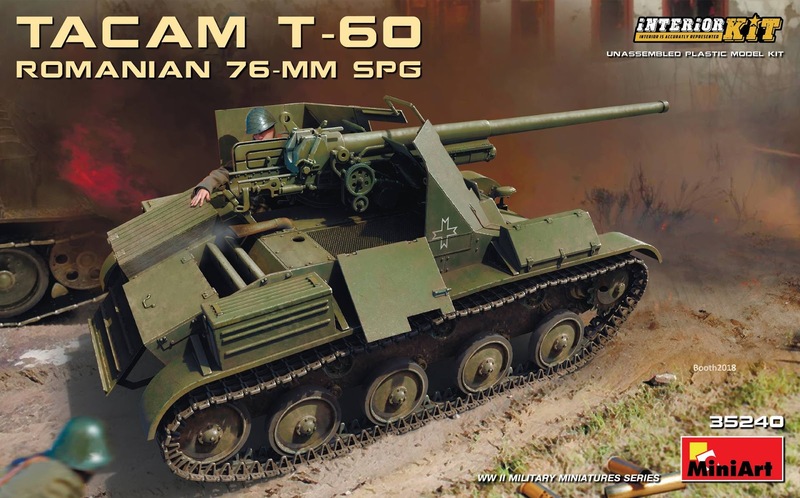 In 1944 Soviets were happily cranking out thousands of SU-76 self-propelled guns – essentially a 76.2 mm field gun on a lightly armoured, lenghtened T-70 chassis. SU-76 may have had a bit more spacious crew compartment and ammo storage area than the early Marders or TACAM T-60, but there is certain conceptual similarity. Even the North Koreans had some SU-76s during the Korean War, IIRC. Thought like all the T-34/85s in their inventory most did not survive the war, IIRC. I found this to be a thought provoking comment. In fact, the two vehicles are startlingly similar. Basically a Russian 76.2mm gun in an open-topped casemate, in one case on a slightly modified T-60 chassis, in the other on a slightly more modified T-70 chassis. Yet I find that I consider the two to be very different. And I've been pondering why that is. I guess the issue, to me, is captured in the statement "conceptual similarity". I believe the concept of the TACAMs was much the same as the concept of the Marders. Even though the implementation was very similar to the SU-76s, I believe the SU-76 came from a rather different concept, and was deployed and used differently. Marders were assigned to Panzer Jaeger units in Mech and Armored (PzrGr and Pzr) divisions. They were tank destroyers, AT guns that were designed to have battlefield mobility similar to the other support vehicles in those divisions. That also described the TACAMs. 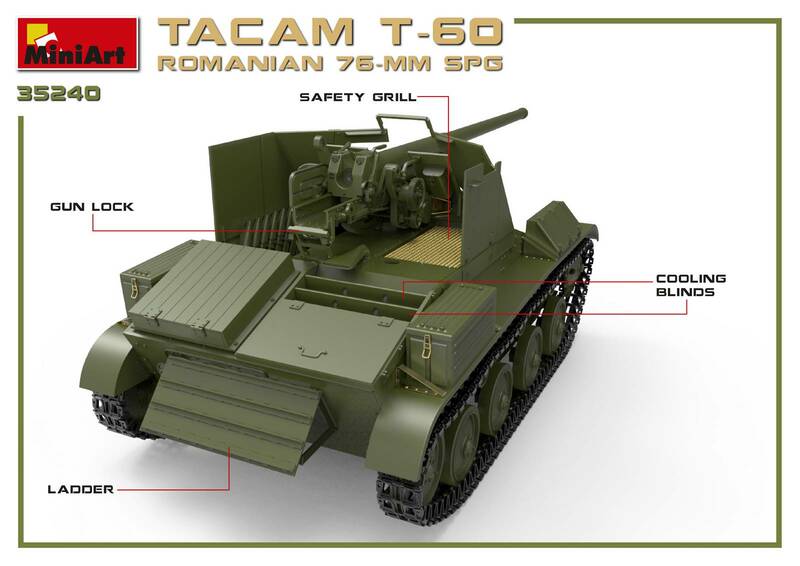 The TACAM T-60s, of which something like 30 – 35 were build IIRC, were assigned to the two regiments of the Romanian 1st (and only!) Armored Division. They were considered tank destroyers, mechanized to fit into the Tank Division's methods and tactics. SU-76s were not derived from such a concept. 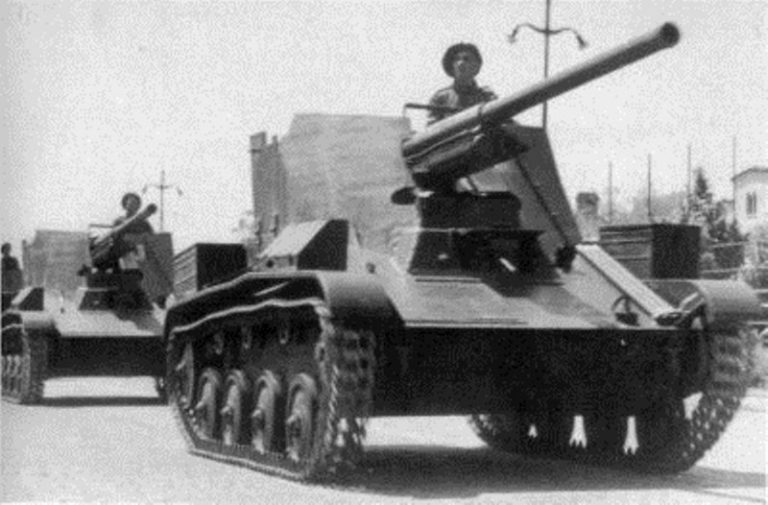 They were self-propelled, direct fire artillery pieces -- assault guns, more similar in tactical concept to StuGs than to Marders. And the Soviets pumped them out by the thousands, because they used excess capacity that was not being otherwise engaged (SU-76 production replaced T-70 production at the GAZ plant, once the Soviets gave up on light tanks). 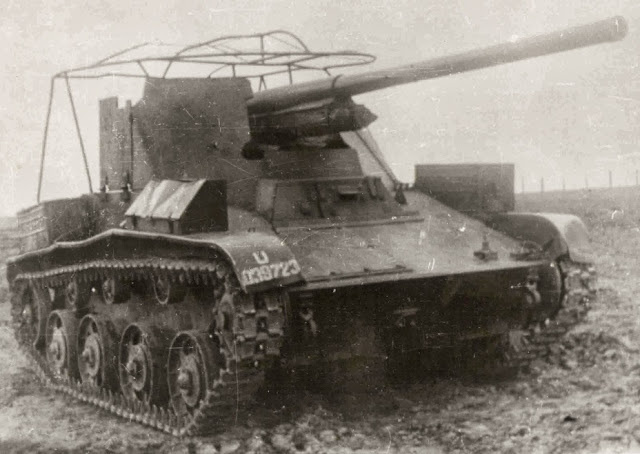 Even in 1944 or 45, a self-propelled Russian 76.2mm gun was a useful weapon. Particularly if it was available in numbers, so there might likely be some around when called for. But hardly a useful dedicated AT weapon. Particularly in and among tanks, where you expect to already have guns of at least that capability. A better gun, even if it has weaker armor, makes a useful tank destroyer among your tanks. A weaker gun, with weaker armor … not so much. At least that's my ponderings on the topic.